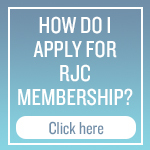 RJC membership and certification provide opportunities to build stronger commercial relationships and gain access to preferred customers and suppliers. Demonstrate Due Diligence to various stakeholders, including banks, suppliers and customers. Enjoy operational efficiencies through RJC’s harmonisation with government legislation, independent standards and industry standards and protocols e.g. conflict mineral resolution, LBMA, as well as De Beers’ Best Practice Principles (BPP), Signet Responsible Sourcing Protocol (SRSP), etc. Demonstrate leadership on issues such as sustainability and sourcing and provide assurance of your commitment to responsible business practices to all your stakeholders via an independent, third-party audit. Identify your risk areas and access practical tools for managing those risks to avoid future hazards. 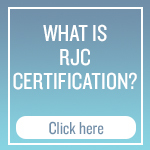 All RJC members can enjoy complimentary training and support to achieve conformance with international best practice including multiple supply chain initiatives and legislative standards. Create shared value through an integrated corporate social responsibility agenda relative to your costs and specific to your company’s sustainable development goals. Access marketing opportunities in the diamond, gold and platinum group metals jewellery supply chain through auditable claims of provenance e.g. conflict free and about sources e.g. buying from certain producers. Get noticed with an exclusive RJC profile page on our website; use of the RJC member logo for promotional/marketing collateral; opportunities to feature in RJC publications including our monthly newsletter that gets distributed to the entire RJC membership, global trade media and interested parties – the opportunities to shine are limitless! 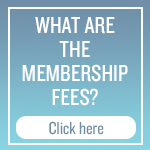 Be Prepared in the event of the introduction of further legislation on the industry, RJC members are well ahead of their competitors in their ability to comply with regulations such as Dodd Frank Act section 1502 in the USA, the Conflict Minerals Regulations of the European Union, and future potential legislation. Provide assurance to customers and stakeholders about the ethical and responsible management of your company.